If you are anything like me I hear the words Low Fat I think not going to be good. But I took a risk on this recipe and I was pleasantly surprised this Taco Bean Dip was great! Don't get me wrong I love the loaded up Taco Dip. 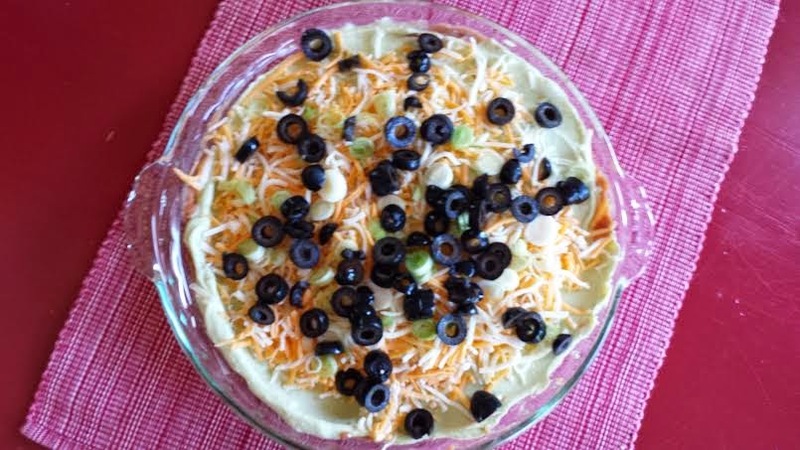 This is a nice light taco dip good for a hot summer party. 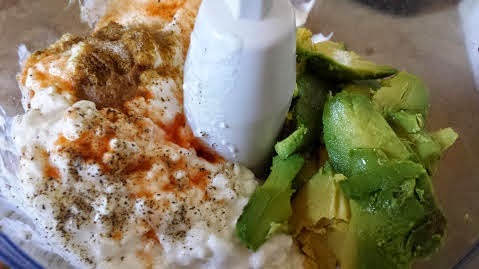 In your food processor add the cottage cheese, yogurt, avocado, Tabasco, salt, pepper and half of the cumin powder blend well. It makes a beautiful shade of green! 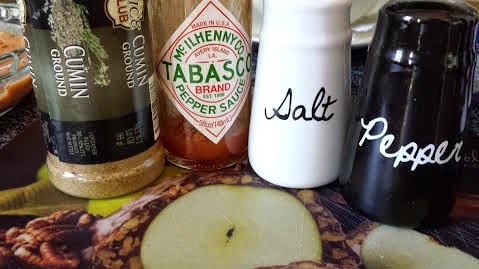 In a pie dish spread your re-fried beans sprinkle with the remaining cumin. Now layer your avocado mixture. Sprinkle with cheese, olives and finally green olives.